Today (5/18) ONLY get up to 55% off select Perky-Pet Hummingbird Feeders . Prices start as low as $9.99! One of my favorites is this Perky-Pet 710B Elegant Copper Glass Hummingbird Feeder with Free Nectar on sale for $10.99 (Retail $24). 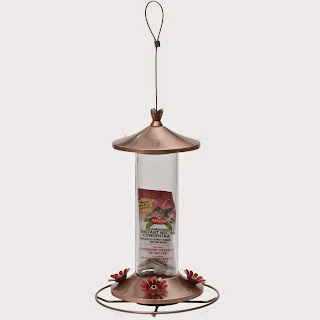 Head over HERE to check out all of the daily deal Hummingbird Feeders.